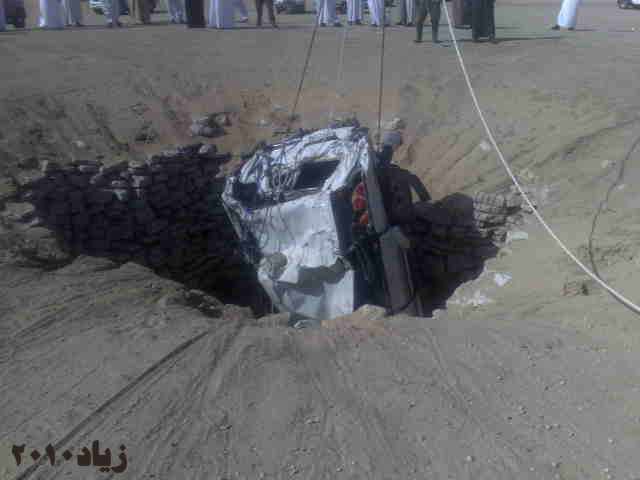 You'd think that they'd at least put up a flag to let people know there's a 100 meter hole there. Well! 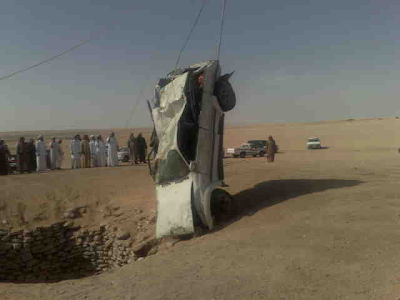 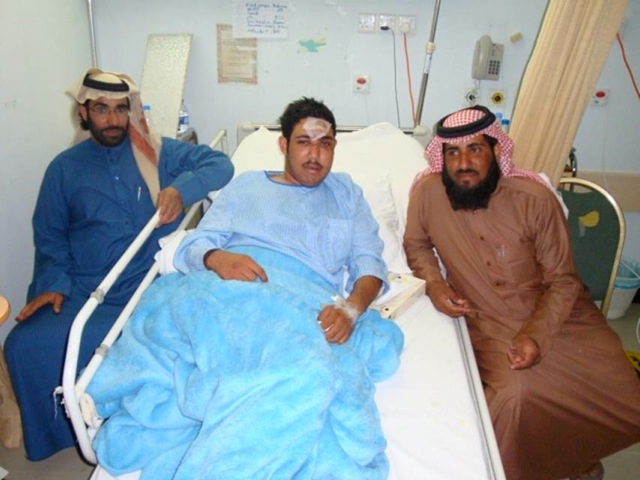 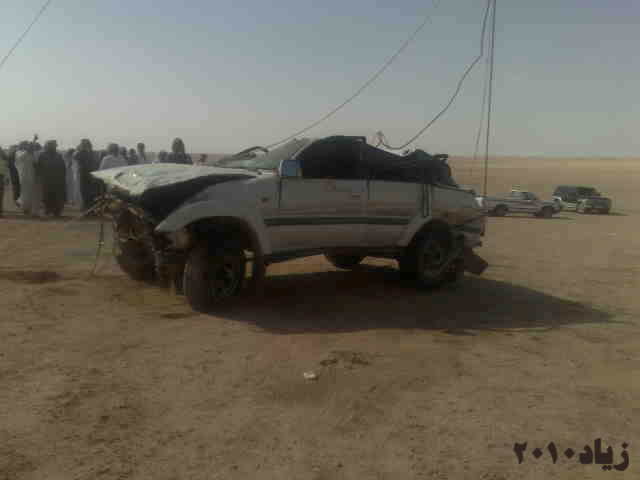 This happened in Saudi a few days ago. 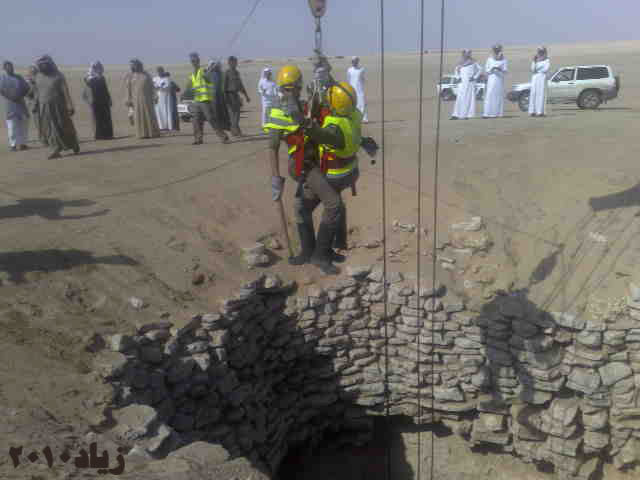 In areas where there is fresh water under ground the locals dig wells and support the sides with concrete and stones to keep the sand from falling back in to the well. Some of these are up to 100 meters deep. 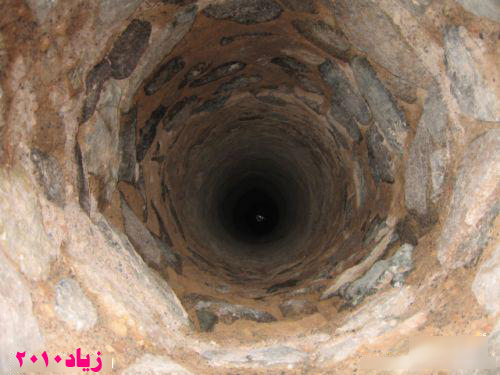 This particular one was 60 meters deep and 4 meters wide, located outside the town of Riyadh in the center of Saudi Arabia. 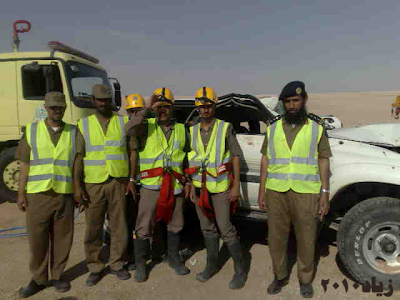 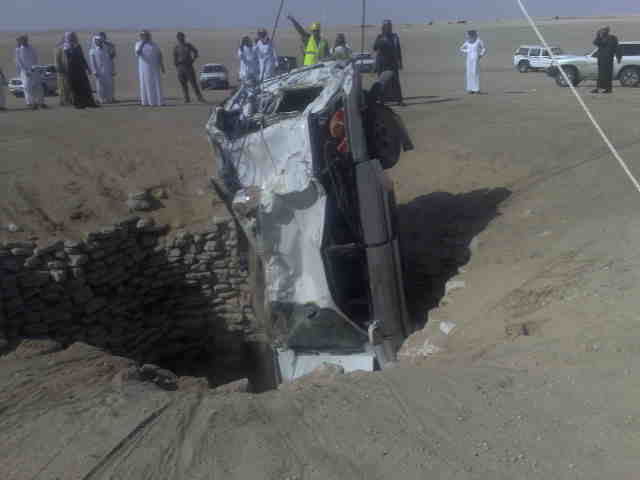 The guys went out in the desert for a bit of 4X4 fun on a Thursday, when one of them drove into the well and dropped 60 meters to the bottom with his V8 Cruiser. 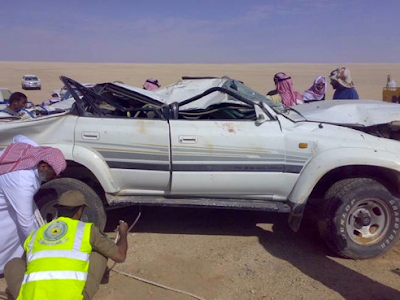 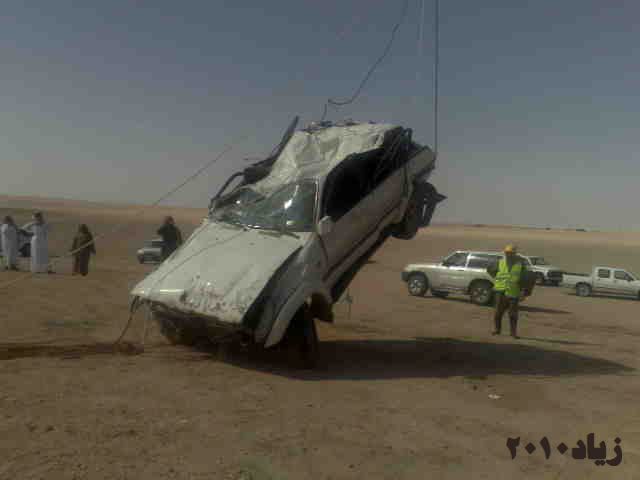 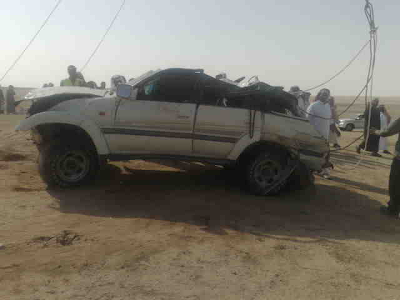 But, rescue workers retrieved the car and the driver had a mild concussion from hitting his head against the wind screen. 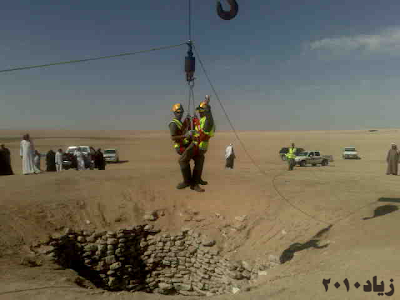 Take a look at the photos of this rescue operation.